ALCOHOL ADVERTISING will be banned from within 200 metres of a school, crèche or local authority playground from next year. The Health Minister Simon Harris has signed the orders to commence 23 sections of the Public Health Alcohol Bill into operation. The Bill passed through the Dáil last month after more than 1,000 days of debate. This means that from next week, 12 November 2019, alcohol advertising in or on public service vehicles, at public transport stops or stations will also be prohibited. Ads for alcohol in a cinema will also be banned from next year except for films with an 18 classification or in a licensed premises in a cinema. The new rules also mean that children’s clothing that promotes alcohol will also be prohibited. A number of other measures contained in the Bill will not come into effect for another one to two years in order to giver retailers and businesses enough time make preparations. 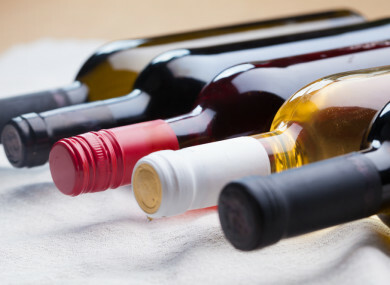 From 12 November 2020, alcohol products and advertising in shops are to be confined to an area separated by a 1.2 metre high barrier, or units in which alcohol products are not visible up to 1.5 metres height, or up to three units that can be a maximum of one metre wide by 2.2 metres high. In addition alcohol products can be contained, but not be visible in a unit behind the counter. Other measures will kick in in 2021 such as a total ban on alcohol advertising in a sports area during a sporting event, at events aimed at children or at events in which the majority of participants or competitors are children. In November 2021, alcohol sponsorship of events aimed at children, events which the majority of participants or competitors are children and events involving driving or racing motor vehicles will also be prohibited. Speaking about the roll out of the new rules, Harris said this is the first time in the history of our State that public health legislation is being used to address issues in respect of alcohol. For the very first time in our history, we are legislating for alcohol as it affects our health and it is right and proper that we do so. We know that we have a relationship with alcohol in this country that is not good, damages our health, harms our communities and harms many families. The measures in this Bill will make a real difference to changing the culture of drinking in Ireland over a period of time. Email “Alcohol ads to be banned near schools, creches and playgrounds from next year”. Feedback on “Alcohol ads to be banned near schools, creches and playgrounds from next year”.